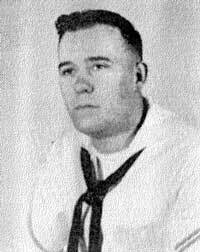 Dusty served in the Navy aboard Skagit from 1959-1962 as an Engineman in A Division assigned to LCM 6. Charles Dustin Bills "Together Again" Our loving father, grandfather, uncle and friend, Charles (Dusty) Bills, passed away suddenly on March 2, 2008. Born to Beulah and Ferrell Bills on December 10, 1941. 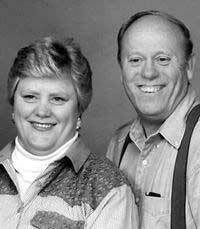 Dusty was preceded in death by his loving wife, Denise and his parents. As difficult as it is for us to say goodbye, they are now reunited. Dusty's heart never fully recovered when he lost the love of his life of 43 years on March 21, 2007. They were never meant to be apart. Dusty is survived by his children; sons, Dusty (Mindi) and Darren (Brenda); daughters, Desiree (Narz) Wessman and Shaunell (Frank) Young; sister, Shauna Martin and 12 1/2 grandchildren. Dusty had countless friends and always had a great story to share; he had a wonderful sense of humor. He also enjoyed many years of coaching baseball and basketball. He was very dedicated to his players, he had the ability to bring out the talent in each and every player, and lead them to many championships. "Way to go coach!" He enjoyed all the relationships he built over the years, and was very supportive; he would do anything he could to help his friends and family. He will surely be missed by all. Funeral Services were held Fridat, March 7, 2008 at 2 p.m. at the Valley View Funeral Home Chapel, 4335 W. 4100 S.
Interment: Valley View Memorial Park. In lieu of flowers, donations will be accepted at any Salt Lake City Credit Union in the name of Dusty Bills. Published in the Salt Lake Tribune on 3/5/2008.